This work (originally for lute or mandolin and strings) is a great piece to feature a mixed woodwind ensemble. Melody is found in all voices and can be successfully performed by any combination of woodwinds. 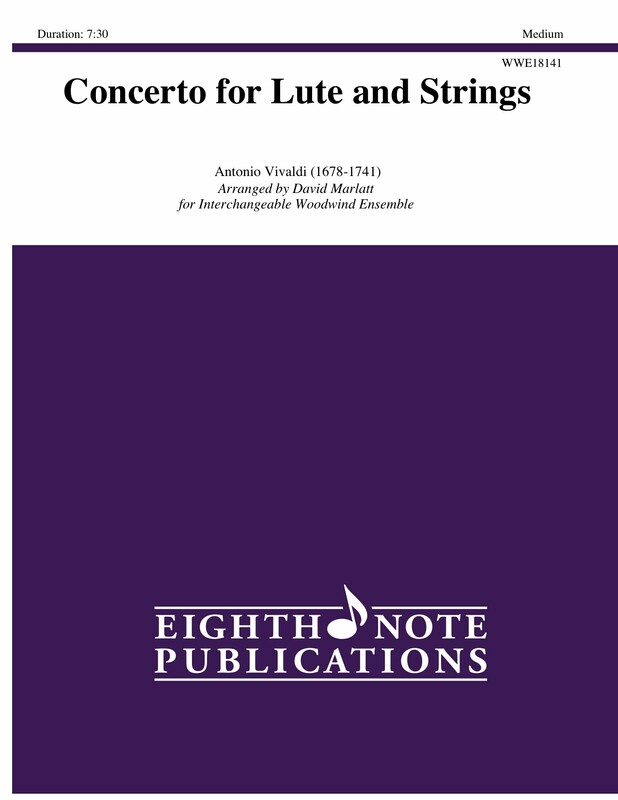 Typical fun Vivaldi writing makes this an excellent choice on a concert or for contest use.